Joe Raedle/Getty ImagesAn AR-15 is seen for sale on the wall at the National Armory gun store on January 16, 2013 in Pompano Beach, Florida. 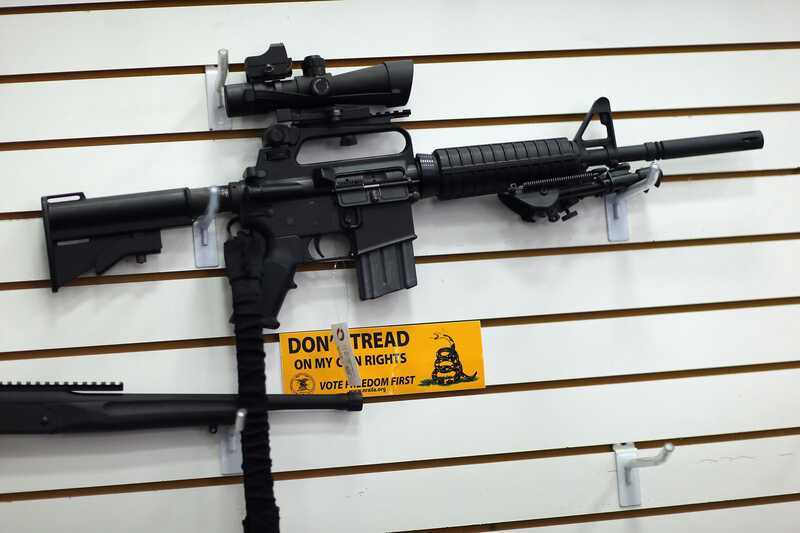 The AR-15 holds a dubious distinction. Law-enforcement officials have said it has been used by James Holmes in Aurora, Colorado; Adam Lanza in Newton, Connecticut; Syed Rizwan Farook in San Bernardino, California; and, most recently, by Omar Mateen in the deadliest mass shooting in US history — at Pulse Nightclub in Orlando. The rifle itself is extremely easy to come by. Not much that distinguishes an AR-15 from other production rifles. Often the differences between an “assault rifle” and a “hunting rifle” are superficial — but sometimes they are practical. The AR-15 does offer multiple rails, which allow things like scopes, additional grips, and laser sights to be readily added to the rifle. Importantly, it is a semi-automatic rifle that is less powerful than many common hunting rifles, but these distinctions mean little in reality. A semi-automatic rifle fires as fast as you can pull the trigger. It is commonly known that by “belt-loop firing,” you can essentially use the gun’s own momentum to make it fire as if it was automatic. In states like Florida, where Mateen’s rampage took place, there are no limitations placed on the design and capacity of magazines that can be sold for semi-automatic rifles. This means that the AR-15’s 30-round capacity can be readily expanded. Mateen was also licensed to carry a firearm, as he worked as a security officer. That means he passed a background check and demonstrated firearm competency in front of state licensing agents, as The Wall Street Journal noted. But there were also signs that Mateen was violent. “He beat me. He would just come home and start beating me up because the laundry wasn’t finished or something like that,” she said, according to The Washington Post. 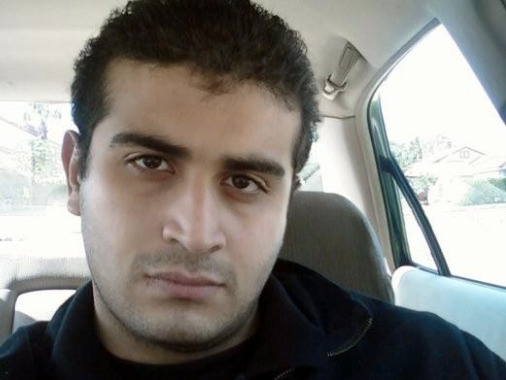 Additionally, FBI official Ronald Hopper said Mateen had been investigated twice by the FBI for links to terrorists. He was cleared both times, and this did not affect his legal right to own guns. In Florida one can walk into a gun show and leave with an AR-15, or an equally formidable rifle, and leave with it that evening for around $1,000 — even if on the FBI’s “no-fly” list. An AR-15 fitted with a short barrel and a shortened buttstock, both easily possible, results in a deadly assault rifle that is less than two-feet long, easily concealable in a heavy coat, and it’s extremely easy to get.